Home > Articles > Advice & Tips > Security vs. 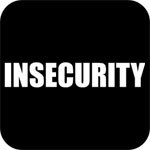 Insecurity – What’s holding you back? Security vs. Insecurity – What’s holding you back? Security is one of the most basic human needs. Most people value security because feeling secure feels good. But is it possible that your need for security is actually inhibiting the fullness of your life? If we look at most of the successful self-made people in the world, we’ll see that many of them had to endure what would be considered a large degree of insecurity. For example, according to studies, the average self-made millionaire went broke more than 3 times on the way to their monetary goals. Most of us crave financial security, yet how many of us would be willing to put ourselves in situations where we might end up broke, just to achieve that security? Do these successful people have less need to feel safe? Perhaps they simply see security differently. Most very successful people feel secure the majority of the time. They’re secure in themselves and in their abilities. They always have those two things available to them, regardless of their external events. Not having enough money is just a nuisance. While not ideal, it’s nothing to get bent out of shape about. Most of us would feel more secure with $250,000 in the bank, a house that’s paid off, a stable job, and health insurance. The problem is that by the time most of us achieve all of these things, we’re nearly out of time. No one lives forever. So to achieve the things that make us feel secure, the fastest path is usually to take action that might create a feeling of insecurity in the short-term. Taking some risk may be necessary to create a life that’s full of security. As with many things, security frequently comes down to risk vs. reward. Starting your own business might be “risky.” You might go broke. You might have to sleep on your friend’s couch. But is that really the end of the world? Did you know that Sylvester Stallone was completely broke and his wife was pregnant when he was trying to sell his script for Rocky? He even turned down $200,000 for the script because that particular film company wouldn’t let him star in the movie. He ultimately took less for the script, just to be able to be in the movie because he knew it was worth the risk. Stallone is now worth over $275 million. Would you have taken the same chance? If your sense of security came from within you, then yes! So, how can you change so that your feeling of security comes from inside you rather than from the outside? First, you need to simply decide that you’re going to perceive things differently. You also need to believe that you have the capacity to handle any bumps that occur along the way. That’s it! Just those two things are all you need. 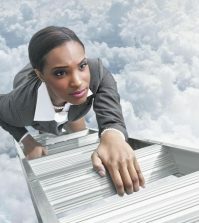 Avoid letting your need for security undermine the achievement of your dreams. If you feel the need to wait until all of your needs for security are met before you chase your dreams, you’re likely to run out of time first. Ask yourself if you really need all of those external things to feel secure. Then go get some real security. Nick Dillon is a counselor and certified career coach. 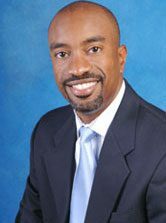 He maintains a private practice in Milwaukee, Wisconsin. Inquire about his FREE coaching session by visiting his website http://www.nicholasdillon.com.